The beauty and power of crystals and other stones have been long recognised, since the dawning of civilisation – prized for not only their beauty but for their healing and spiritual power. Healers, shamans and priests have long used crystals for their unique and special properties. It is widely believed crystals vibrate at the same pitch as humans – such that the resonance between the stone and the human either combats the vibration of the illness or amplifies that of health. More and more humanity is re-discovering this ancient and often forgotten healing and recognising it’s part to play in the healing process. In massage therapy we use the quartz crystals above to help amplify and balance the energy in the room and to assist in channeling universal life energy. There are thousands of different crystals on the planet but few are used in crystal healing. The easiest way to understand the powers of different crystals is learn the properties of colour. Red crystals stimulate, activate and energise. They are associated with ones ability to use daily practical skills and physical survival skills, and with movement, motivation and protection. Ruby is a gorgeous example of a red crystal, as it works with the energies of the heart centre, energising yet balancing in its effects. Pink crystals have a gentle and subtle way of pushing things towards a resolution. Pink brings emotions and sensitivity into our daily actions. Rose Quartz is possibly the best known and favourite of the pink stones, and has a calming and reassuring effect. However, it can also be a powerful releaser of unexpressed emotions where they may be getting in the way of personal growth. It is the stone of unconditional love, promoting self love and also attracting love from others. Yellow crystals relate to the functioning of the nervous, digestive and immune systems of the body. Stress, fear, happiness a contentment are all linked to this colour. Amber has a beneficial effect on the nervous system and self-healing processes. Citrine Quartz Crystal, when it is a bright, clear yellow it will help to keep the mind clear and focused. And Iron Pyrites, also known as “fool’s gold”, helps to cleanse, strengthen and calm the digestive system. Green crystals are associated with the heart. They serve to balance emotions and relationships, encourage personal space and growth, and bring about a sense of calm. Green Aventurine is an excellent heart balancer, it promotes easy expression of feelings. Additionally, this crystal is said to relieve anxiety and promote a cheeriness in its possessor, and to bring about good luck. Malachite goes deep, digging out hidden feelings, hurts and resentments, it will assist breaking unwanted ties and patterns of behaviour. Amazonite focuses on healing throat and lung issues. Bloodstone stimulates circulation to the heart, and Emerald will bring clarity in personal direction and calm to the heart. Light blue crystals are associated with the throat and therefore communication. Voice, taste, smell and sight.. well all the senses, and your internal communication ie the way you talk to yourself, your thoughts and your ability to express yourself, are all influenced by the vibration of light blue. Aquamarine is well known for its ability to promote clear communication, courage and confidence. It helps you stand your ground, and helps to release the flow of clear communication. Celestite is a beautiful soft stone that forms clear, delicate blue crystals, very inspiring and dreamy in its qualities. It is ideal for lifting heavy moods and assists in the expression of spiritual thoughts. Turquoise dispels any negative energy and electromagnetic smog from your surrounding environment, allowing clear thinking and a calming of nerves when speaking in public. Violet crystals tap into inspiration, imagination, empathy and the sense of service to others. Violet and purple stones help to rebalance extremes within the systems of the body, so they can be of use when you are not sure of the nature of a problem. Amethyst is perhaps the most useful all purpose healing crystal. It is universally applicable in its uses and benefits. Amethyst is a good stone to use with meditation as it quietens the mind and allows finer perceptions to become clear. It can enhance intuition and psychic powers of all kinds. Amethyst is also excellent for lucid dreaming. Additionally, Fluorite protects against computer and electromagnetic stress, place a fluorite crystal at your work station to improve mental clarity and efficiency. Indigo crystals are linked to your “third eye”. Perception, understanding and intuition, together with a deep sense of peace are attributed to Indigo. Azurite serves to free up difficult and long standing blocks in communication and will reveal obstacles stopping us from using our full potential. Additionally, Azurite stimulates memory and recall. White or clear stones symbolize the potential to reflect all energies around them. White is related to the concepts of clarity, cleansing and purification. Clear Quartz is amazing for strengthening energy. It channels universal energy, absorbing, storing, amplifying, balancing, focusing and transmitting. For this reason it is beneficial in healing, manifesting and meditation. Moonstone is a lovely soft luminescent white. It is an excellent stone for clearing tensions gently from the emotions and from the abdomen, where it can help the digestive system. Moonstone will work well wherever there is imbalance in the fluid systems of the body. While white stones reflect and clarify light, black stones absorb light. White will reflect the visible, black will show you the hidden potential of any situation. Black is solidifying and manifesting. It holds all energies quietly within itself and so requires patience to explore fully. Black stones are usually grounding, acting as energy anchors to help you return to a normal functioning state. Many will also reveal hidden aspects so that they can be dealt with, in this respect black stones have a purifying role. Smoky Quartz is a gentle grounding stone. It is protective and is able to dissolve negative states. It will reach to deep levels of the self to cleanse and balance, and so can be a useful meditation stone. How do you incorporate crystals into your day? We incorporate crystals into various massage theraapies to use their properties to balance your energies. 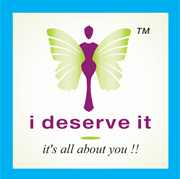 Try the crystal massage therapy at I DESERVE IT SPA.